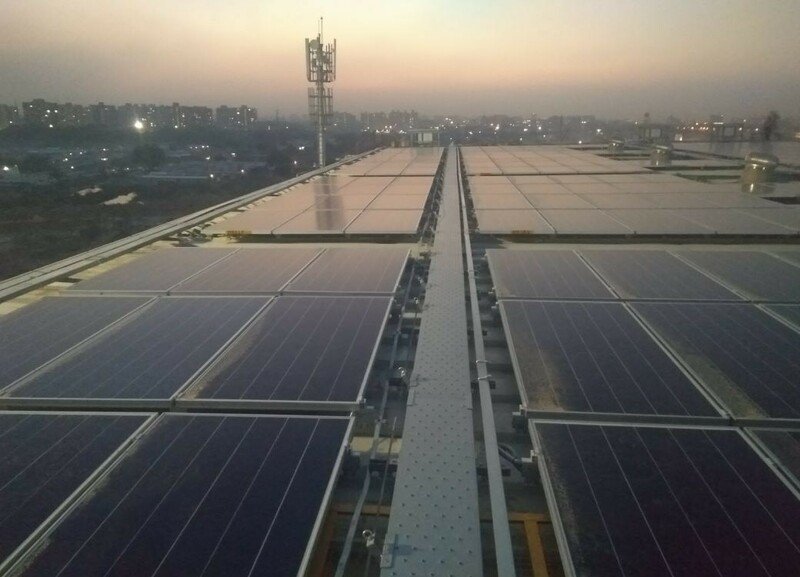 Rapid Metro which is owned by the Infrastructure Leasing and Financial Services Limited (IL&FS), one of India’s leading infrastructure development and finance companies has signed a Power Purchase Agreement with Amplus for 25 years to provide solar power for Rapid Metro’s depot in Gurugram, Haryana. The solar power is generated by the solar plant set up on-site depot. The capacity of the plant is 403 kWp which will produce pollution free green electricity of 11,839,856 units of the system’s lifetime. The solar plant got commissioned in early 2018 and was formally inaugurated in the presence of Mr. Rajiv Banga, MD & CEO, Rapid Metro and Mr. Sanjeev Aggarwal, MD & CEO, Amplus Solar.